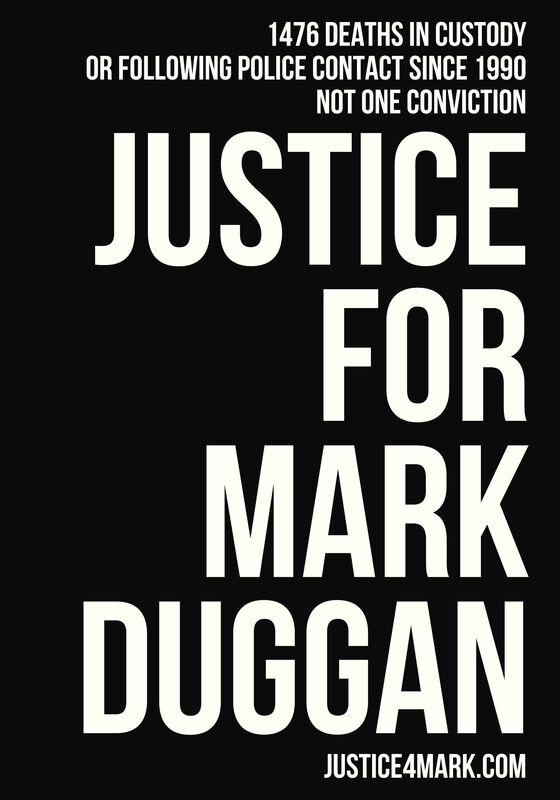 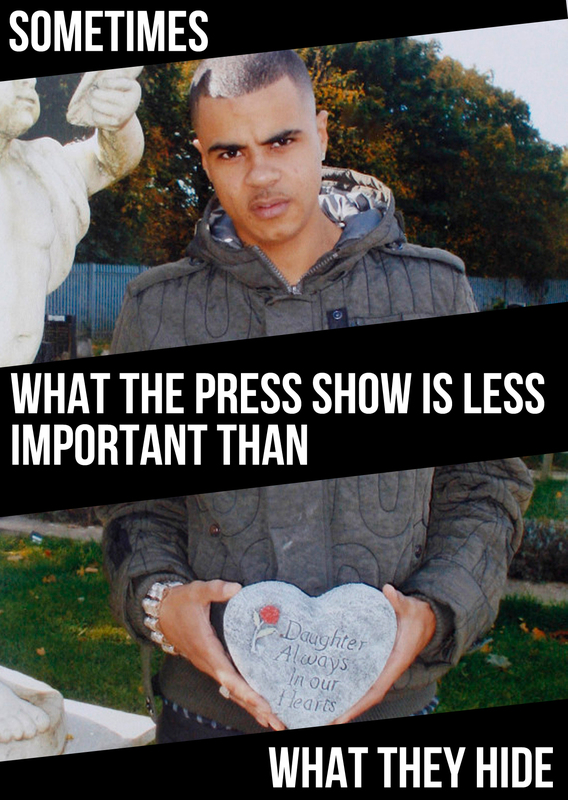 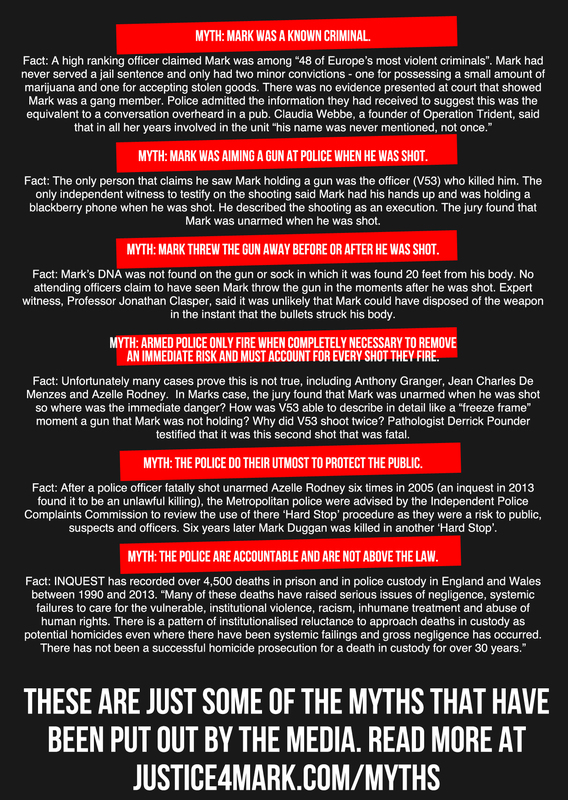 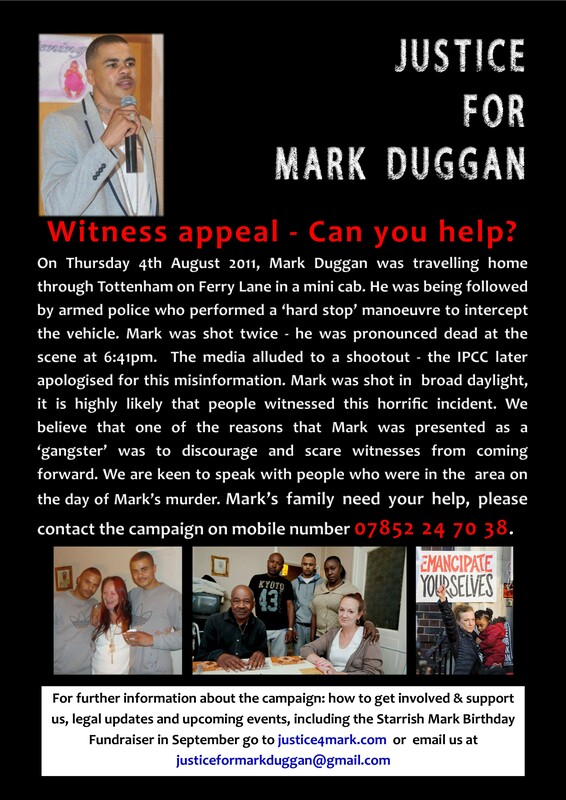 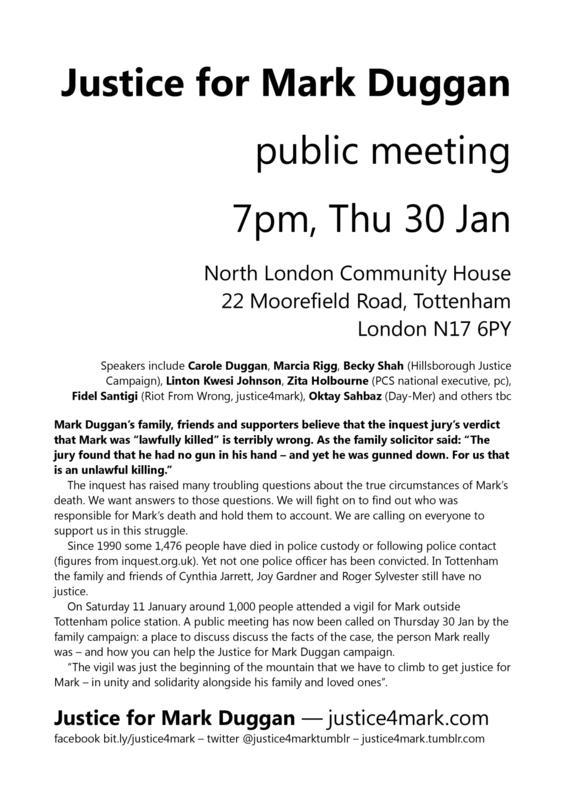 Come to the vigil for Mark Duggan at 2pm, Saturday 11 January, outside Tottenham police station, 398 High Road, London N17 9JA. 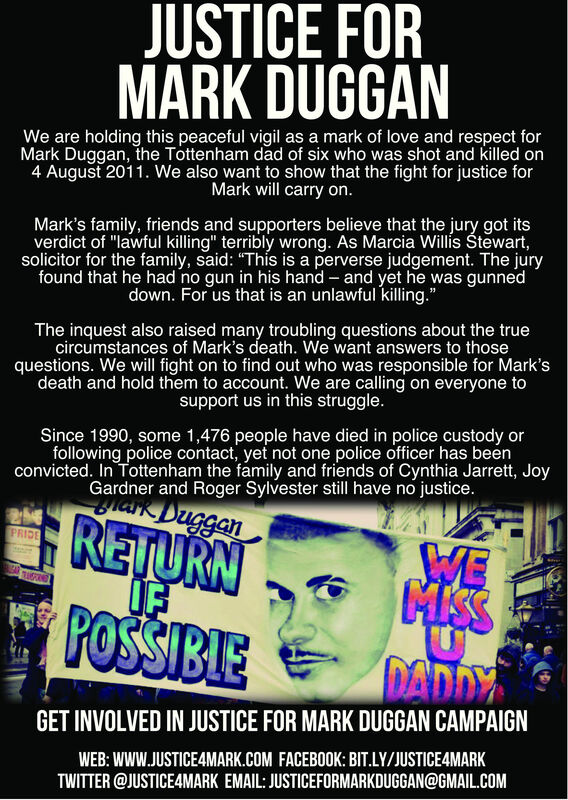 For details click the image to read our Facebook event page. 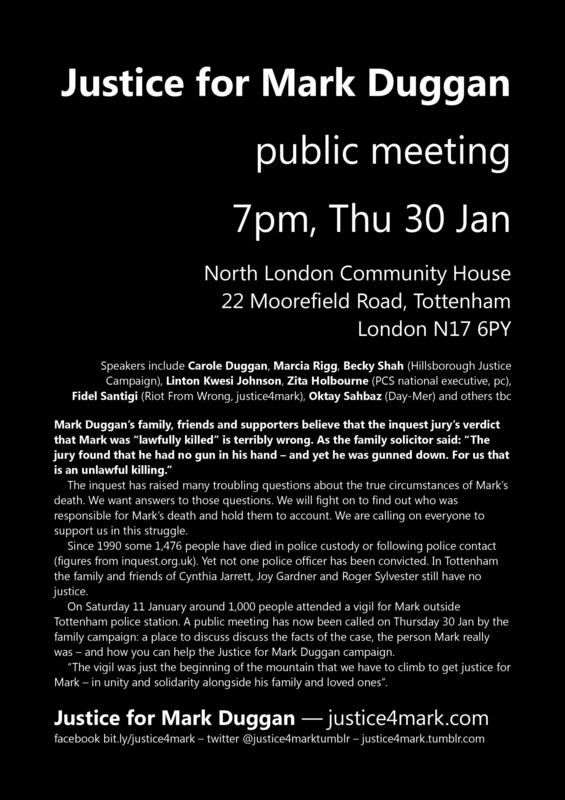 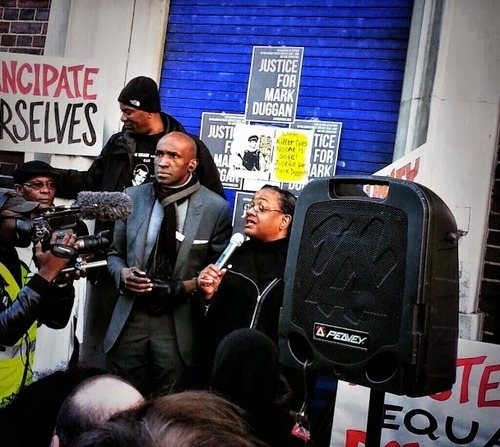 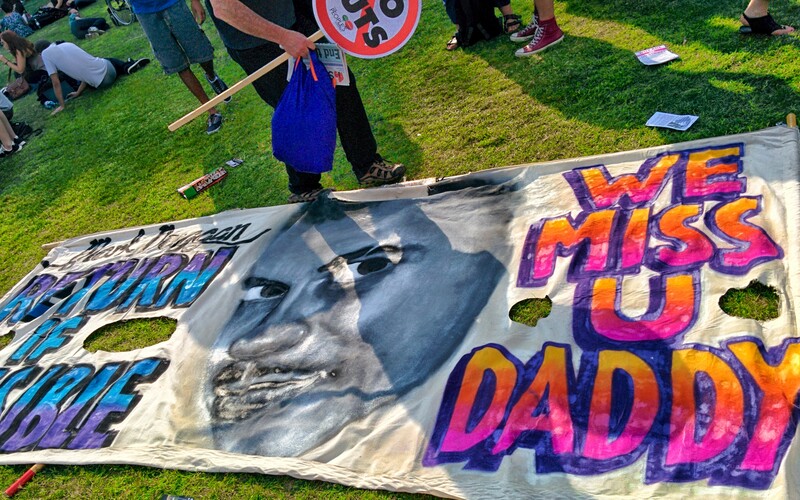 Posted in events, Image format and tagged duggan, solidarity, vigil on 10 January 2014 by bat020.